Filling Head Gravimetric / Weigh metric /Volumetric etc. 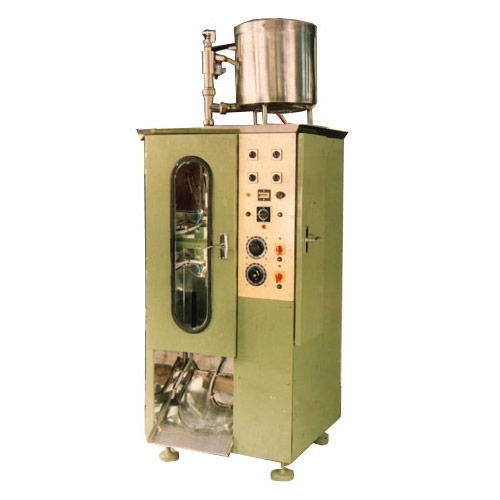 Established in the year 1994, we “Raksha Packaging” are the prominent manufacturer, exporter and supplier of a superior quality range of Auger Filler, Sealing Machines, Counting Machines, Wrapping Machines, Form Fill Seal Machines, Box Strapping Machines, Container Filling Machine, Batch Printing Machines, Special Purpose Machines, Blister Packaging Machines, Table Type Sealing Machines, etc. These machines are fabricated using high quality components and other raw material sourced from some of the reliable vendors of the industry. Also, we carry out manufacturing and other related activities with the help of latest technology and advanced machinery. Our range of products is extensively demanded in various industries owing to its features like durable standard finish, efficient functionality, ease of installation, low maintenance and optimum performance. Moreover, we also offer customized products that are designed as per the exact details provided by clients. All our products are manufactured and marketed under the brands "RAKSHA and SAAIN".